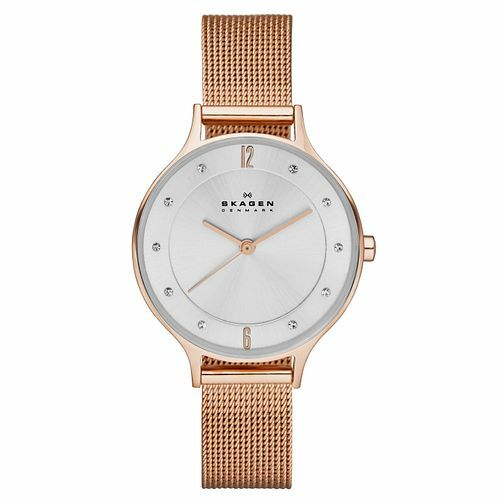 Indulge in alluring Danish-inspired design, with the effortlessly chic Skagen timepiece collection. This elegant ladies' rose gold-plated mesh bracelet watch is styled with a fresh white dial with delicate stone markers for a hint of sparkle. Perfect for paired-down contemporary sophistication.